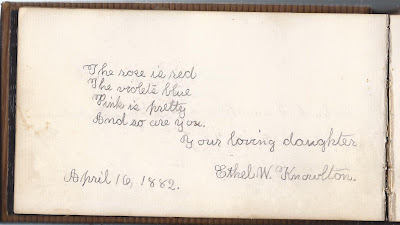 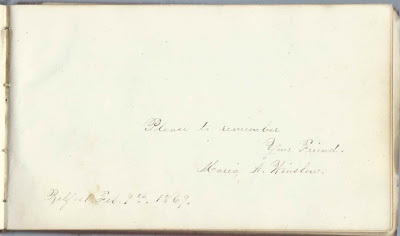 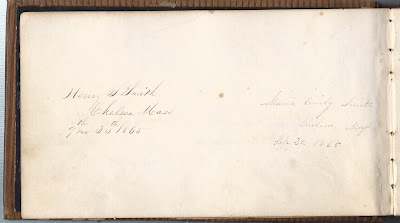 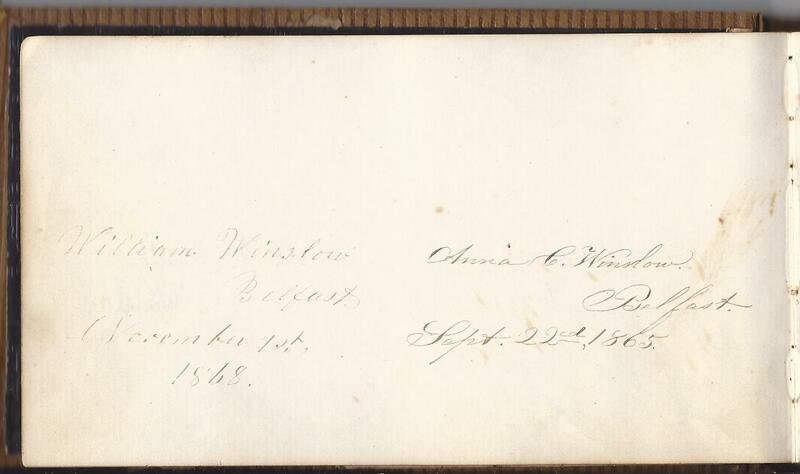 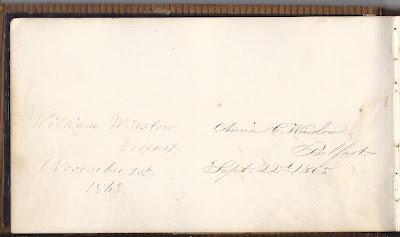 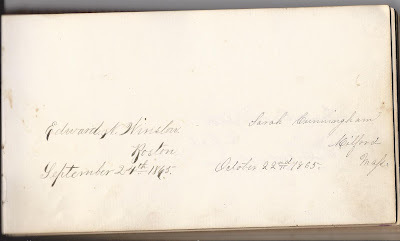 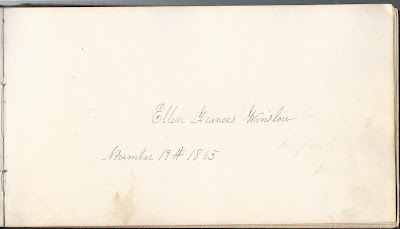 1860s autograph album of Maria Annette Winslow, who was born in October of 1850, daughter of William and Anna C. (Smith) Winslow of Belfast, Maine. 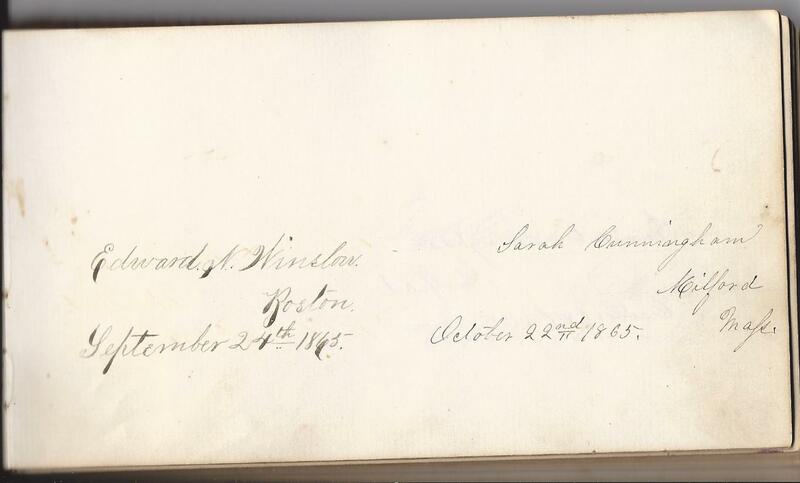 Maria's paternal grandparents were Peter and Sally (Clark) Winslow. 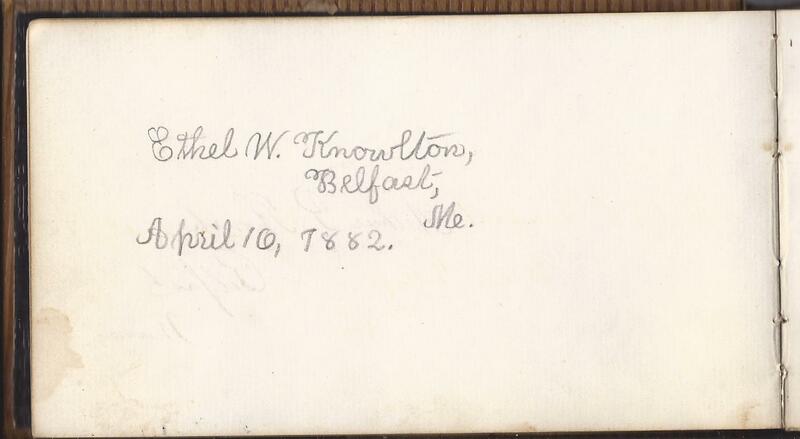 Her maternal grandparents were Peter H. and Lydia (Sherman, I think) Smith. 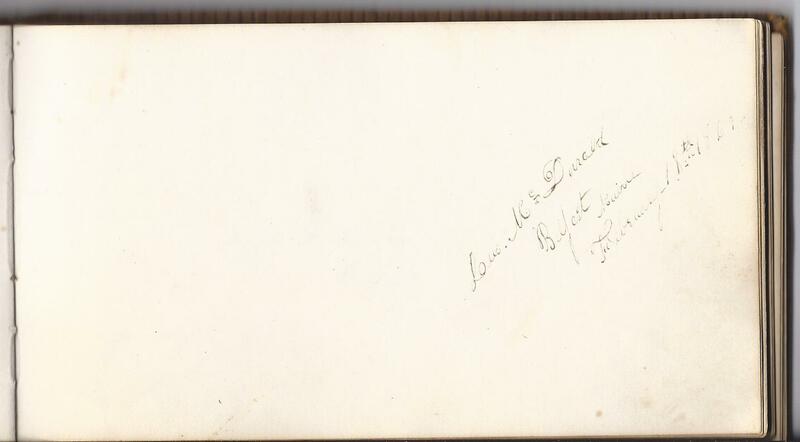 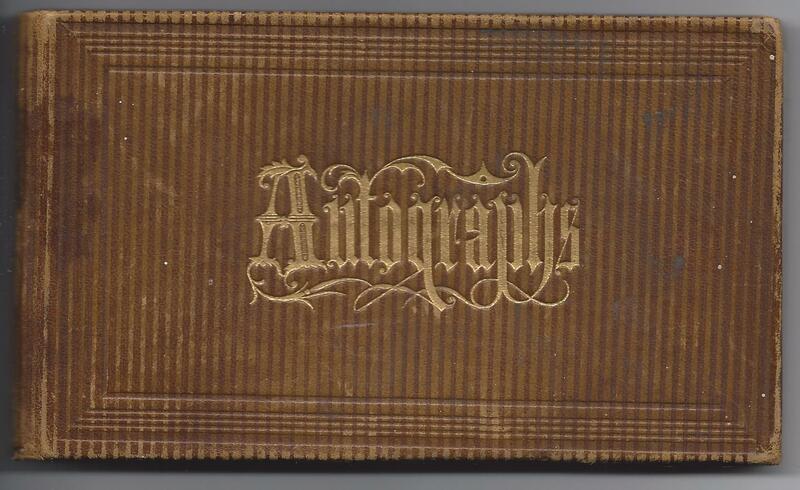 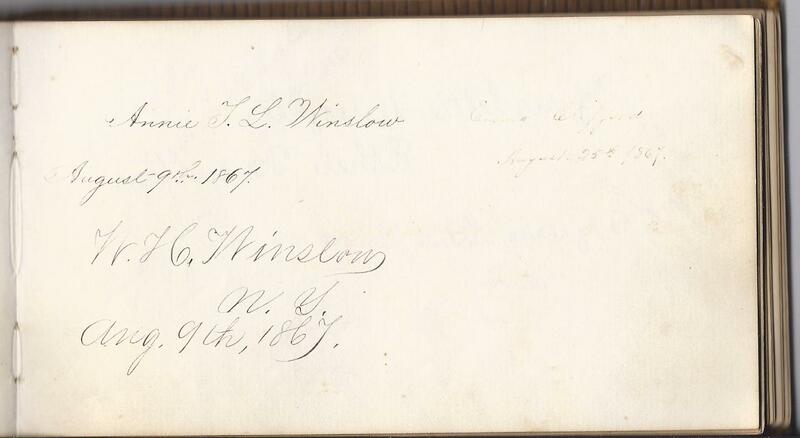 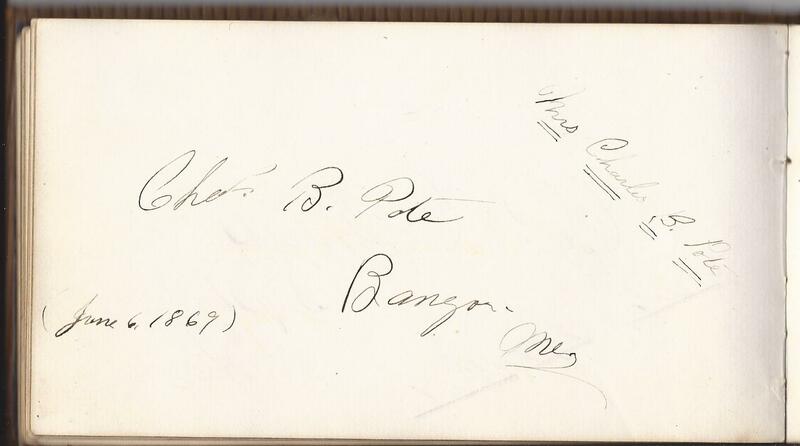 The autograph album has several pages signed by peoiple with the surname Winslow and Smith. 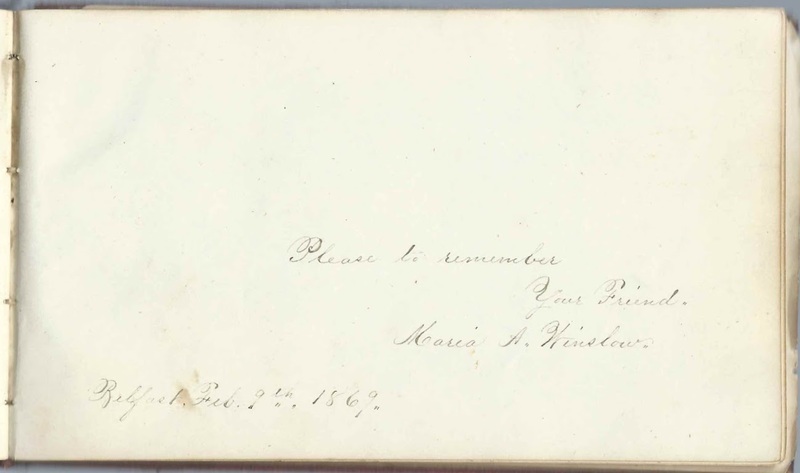 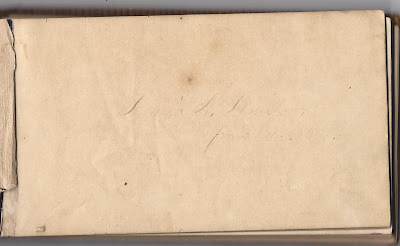 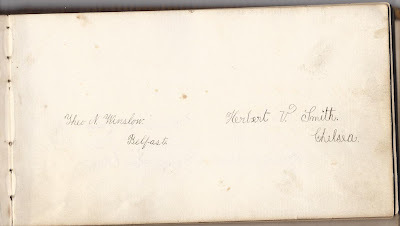 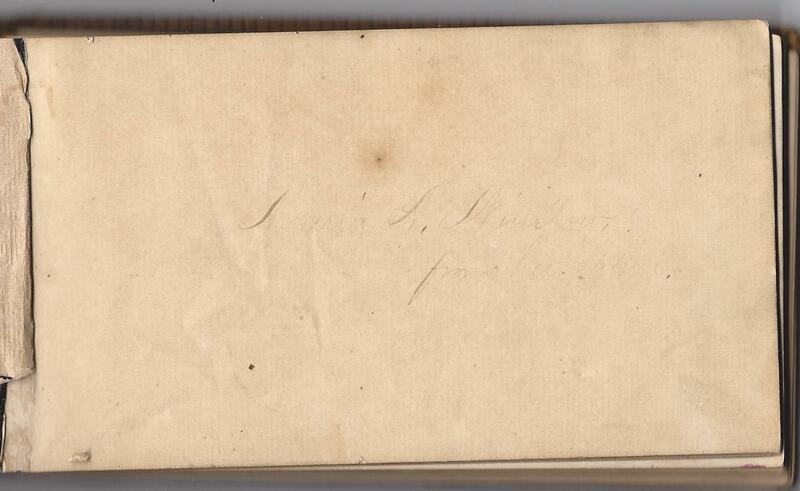 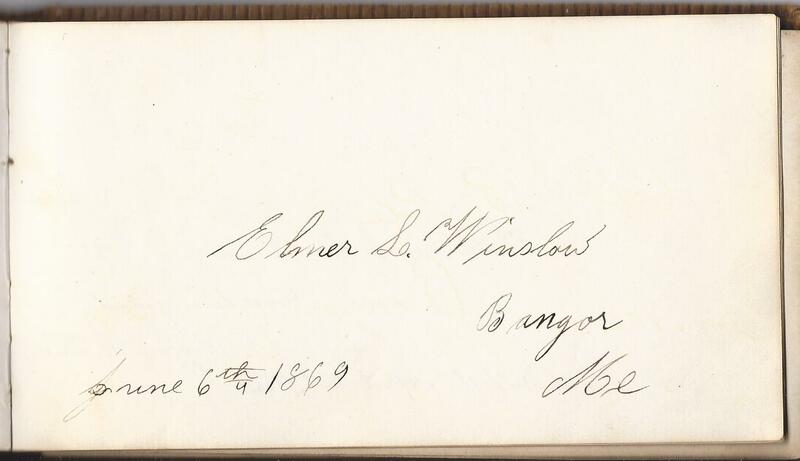 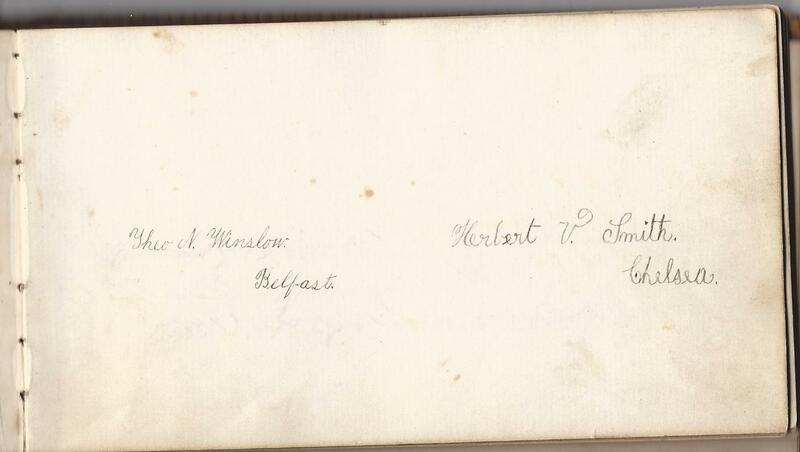 The autographs in this album were collected in the period before Maria was married, on 7 June 1870, at Belfast, to merchant Franklin B. Knowlton. 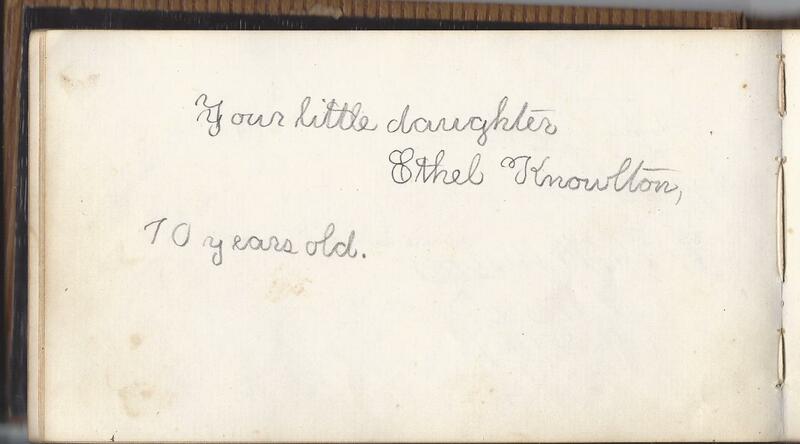 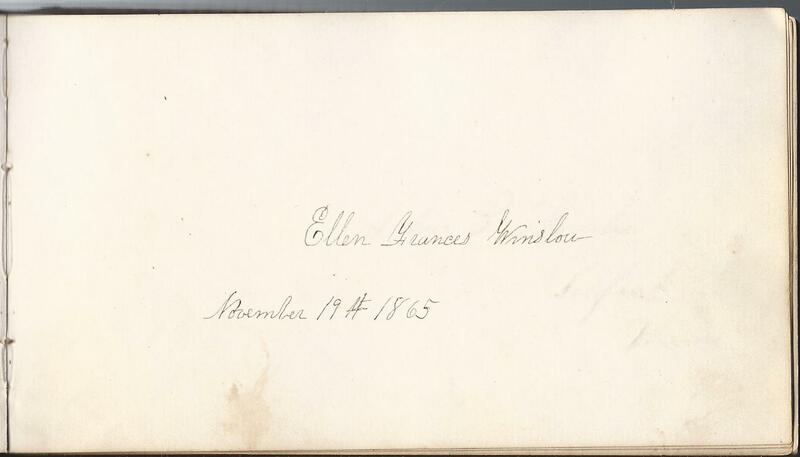 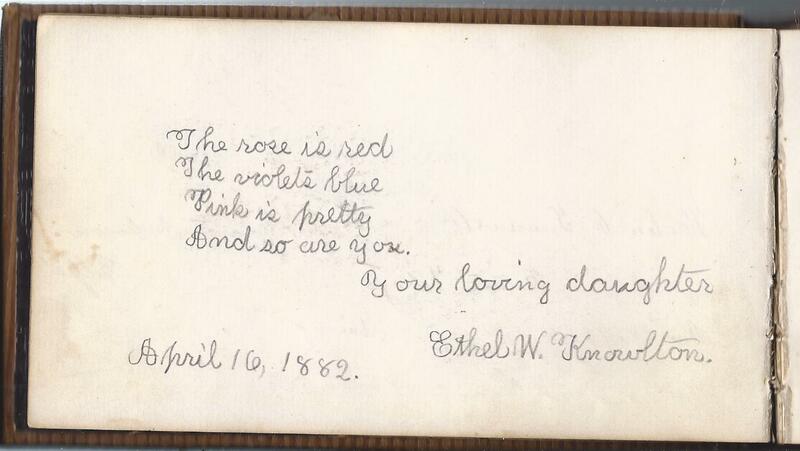 Their daughter Ethel Winslow Knowlton apparently found the album when she was about ten years old and signed three separate pages. 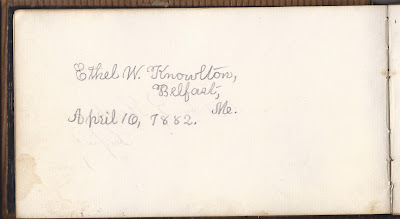 Ethel would go on to marry Samuel Merrill Ray Locke at Belfast, on 7 June 1897. 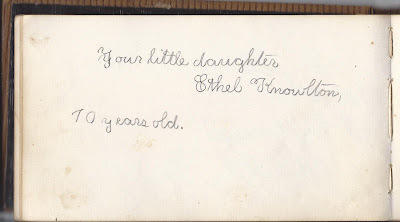 Ethel died fairly young in 1912. 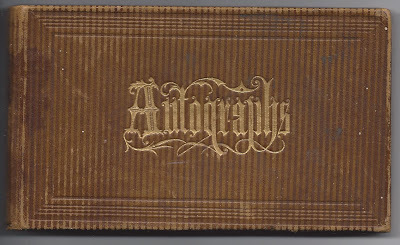 The many other signers could also include relatives and in-laws. 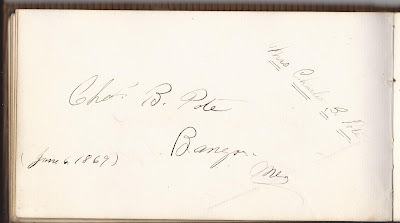 Complete list of signers, below, in alphabetical order. 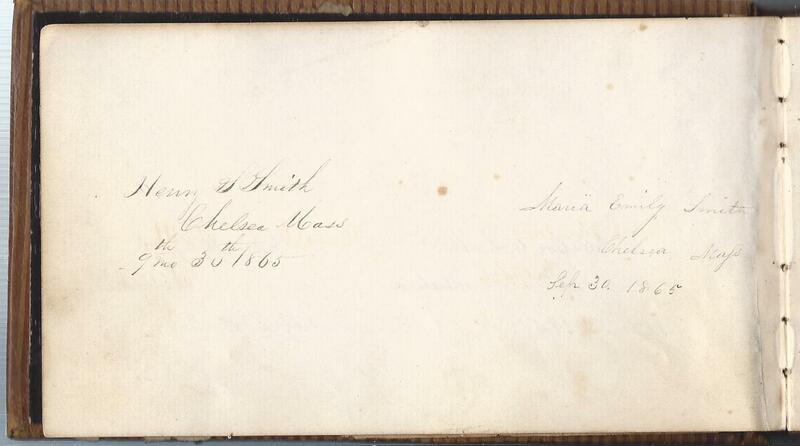 This list includes people on pages which included multiple signatures. 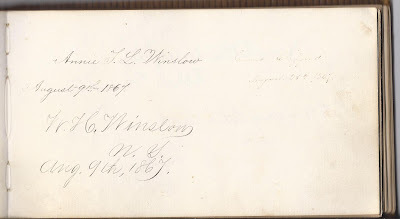 If you have any corrections, additions or insights regarding the Winslow and Knowlton families or any of the people mentioned below, please leave a comment. 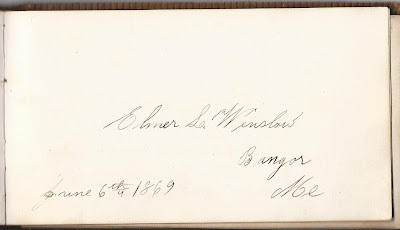 Note: You can view scans of all of the pages of the autograph album, in page order, here, on the Maine and Maritime Canada Genealogy network.